Dynamic ground physics including both hard pavement and soft grass modelling. 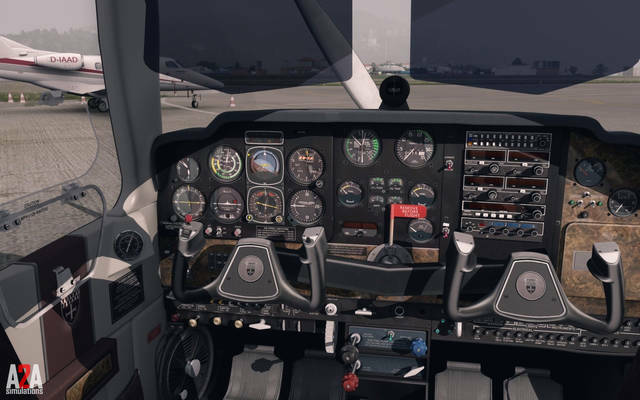 Immersive in-cockpit, physics-driven sound environment from A2A-engineered recordings. 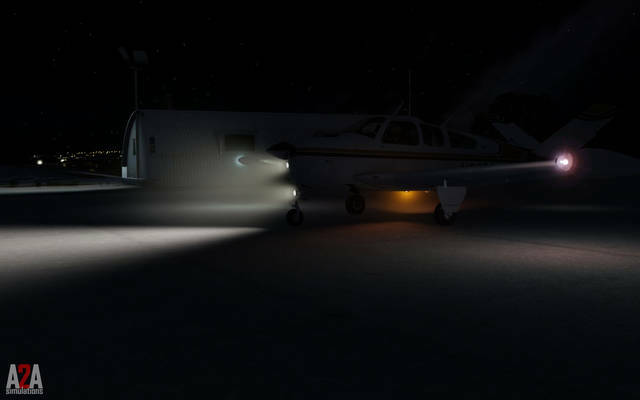 Authentic fuel delivery includes priming and proper mixture behaviour. Mixture can be tuned by the book using the EGT, fuel flow or by ear. It’s your choice. All models include A2A specialised materials with authentic metals, plastics, and rubber. Piston combustion engine modelling. Air comes in, it mixes with fuel and ignites, parts move, heat up, and all work in harmony to produce the wonderful sound of a Continental 520 and 550 cubic inch engine. 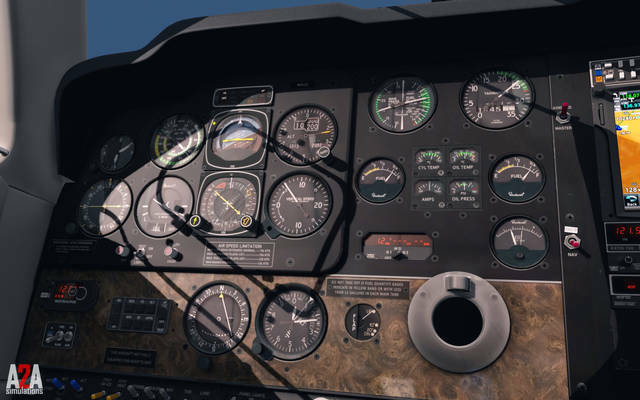 Now the gauges look beneath the skin of your aircraft and show you what Accu-Sim is all about. 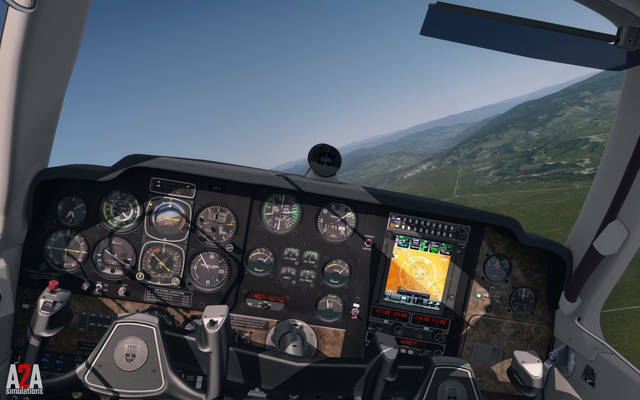 Three in-sim avionics configurations including no GPS, GPS 295, or the GNS 400. 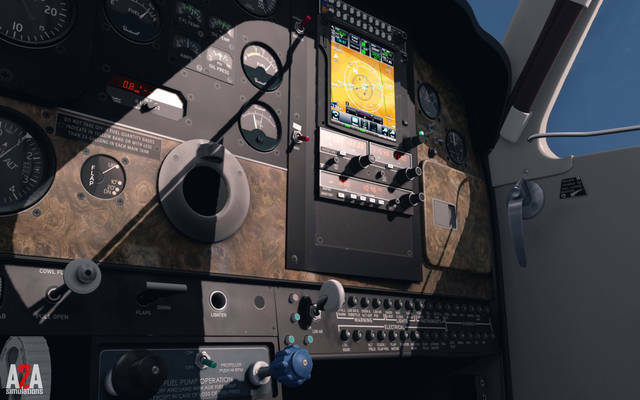 Built-in, automatic support for third party avionics. Oil pressure system is affected by oil viscosity (oil thickness). Oil viscosity is affected by oil temperature. 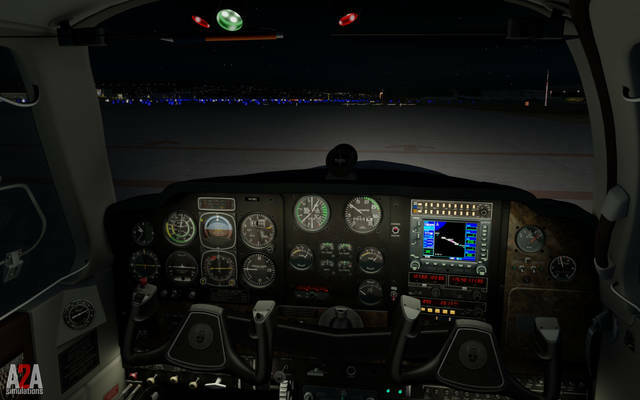 Now when you start the engine, you need to be careful to give the engine time to warm up. 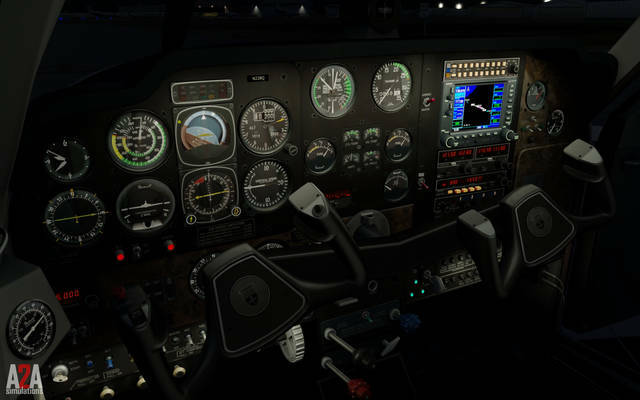 Eight commercial aviation sponsors have supported the project, including Phillips 66 Aviation, Champion Aerospace, and Knots2u speed modifications. 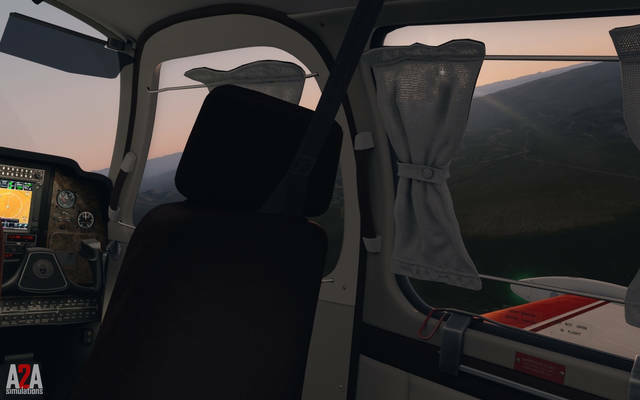 The Manuals are provided as part of the product installation and can be found under your windows Start menu > All Programs > A2A Simulations. Alternatively, you can download the Manual (46MB) here. Some say the hardest thing for an artist to draw is the human hand, because it is the part of our body that we are all most familiar with. 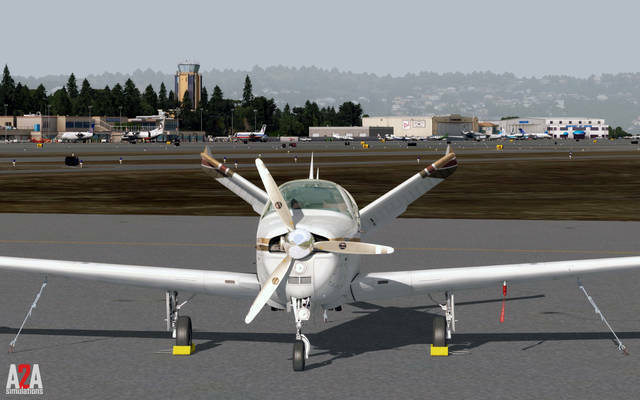 Simulating the Beechcraft Bonanza V-tail is like drawing that human hand. 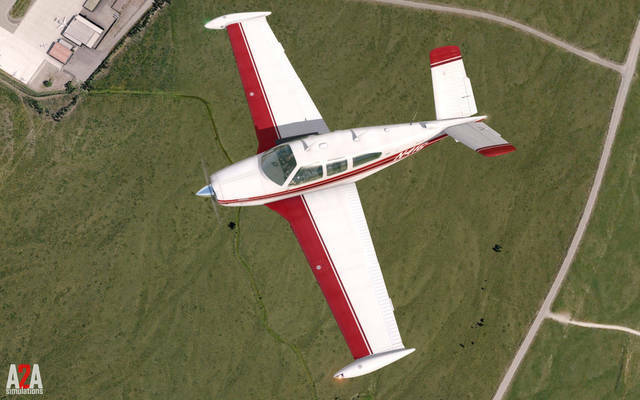 Additionally, there are many Bonanza variants through history with owners that know their aircraft in some ways better than they know themselves. Yet we all interpret life around us differently, including how an aircraft feels to each pilot. 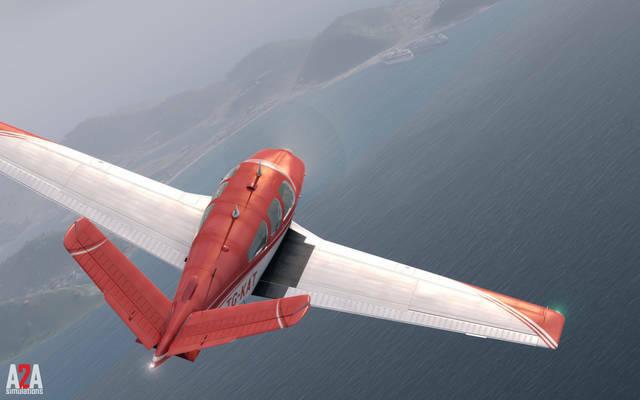 It is up to us, at A2A, to not just create an airplane that objectively performs in line with the actual aircraft, but to capture that human feel and interaction with the real aircraft. We have to somehow magically capture that experience that applies to all pilots. 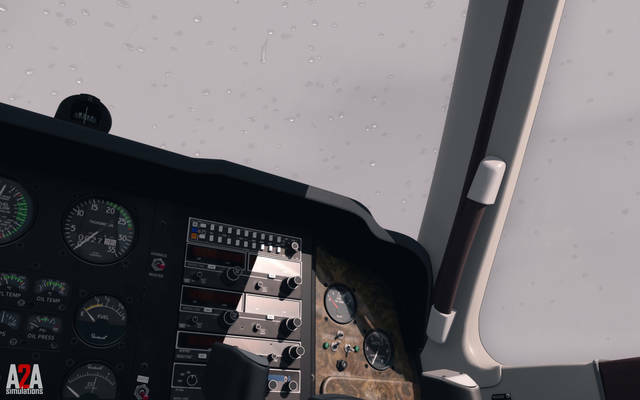 And Accu-Sim technology allows us to achieve this better than anything we’ve used before. 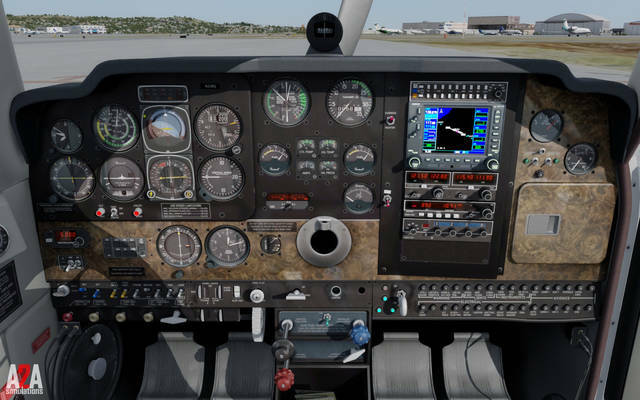 Beyond modelling a specific aircraft, the Bonanza history is surrounded with tales and stories developed over many decades; some are true and some not. 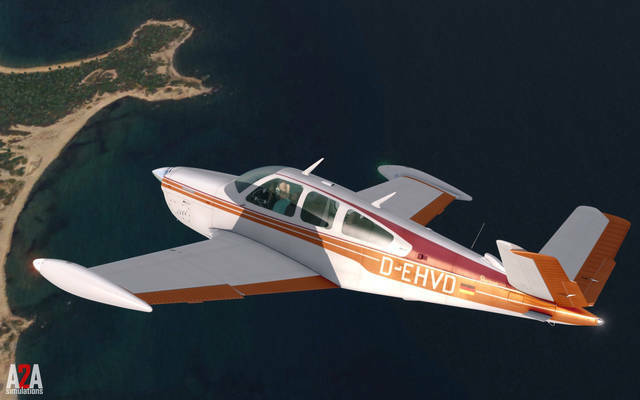 Probably the most common nickname the Bonanza V-tail is known for is being the 'doctor killer'. 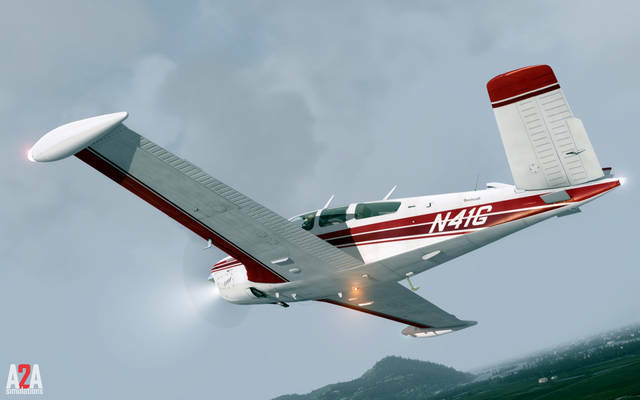 When the Bonanza was first introduced, it was unlike anything anyone has ever seen in the general aviation market. And for the decade following its release, successful businessmen and professionals were buying the Bonanza in great numbers. Many of these pilots had primary careers that demanded a great deal of their time, not leaving much room for flying. And like many 'weekend warriors' today who spend the whole week sitting behind a desk then go out and play a sport on the weekend, injuries erupt. 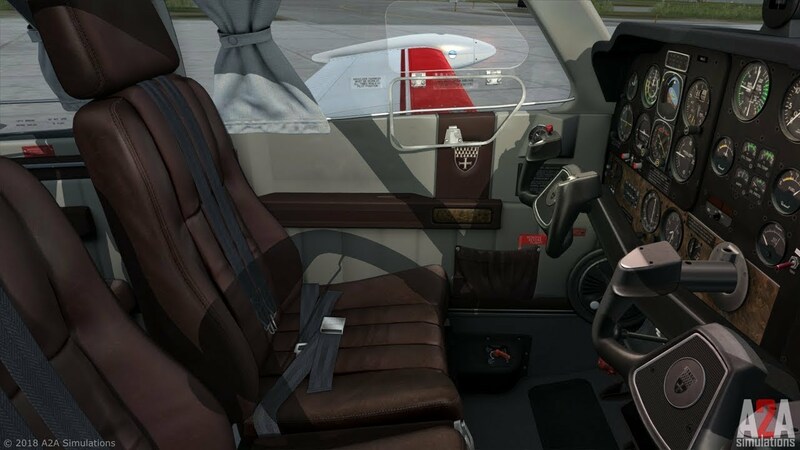 The same holds true for the busy professional working all week who then decides to occasionally fly a high performance aircraft like the Beechcraft Bonanza V-tail. The V-tail Bonanza was built from World War II fighter technology, which was designed for highly trained professional pilots. 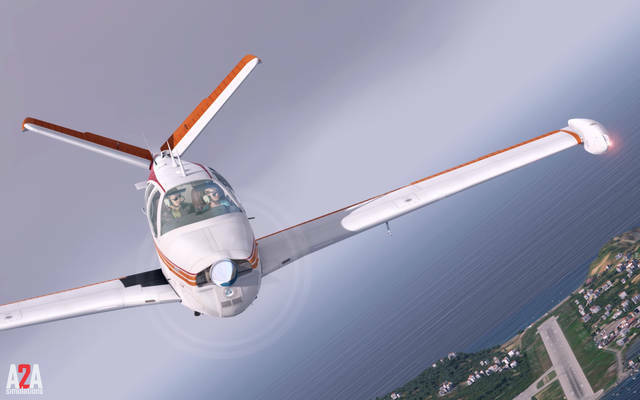 And like most Warbirds, the Bonanza wants to fly fast, all the time. 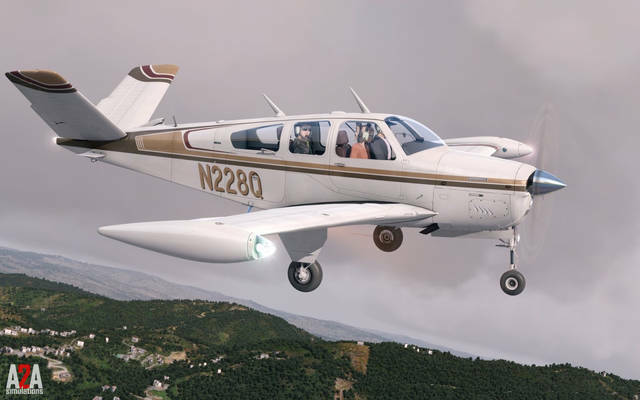 Unlike general aviation aircraft that were developed in later years to have benign flight characteristics, the Bonanza inherently has all of the challenging qualities of the World War II fighter. 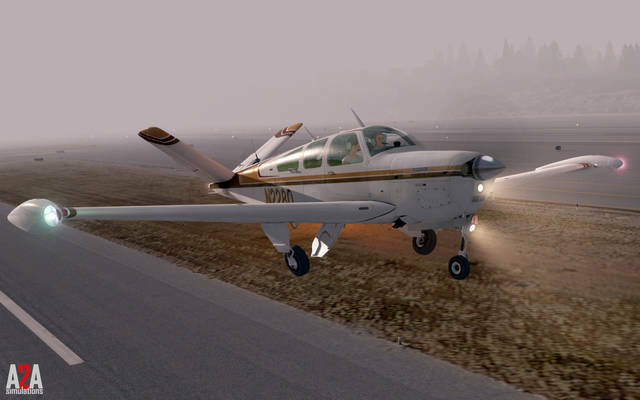 From my point of view, flying a Bonanza is just like flying a Warbird. It rumbles, shakes, rattles, is heavy and can bite the low-time pilot in a heartbeat. 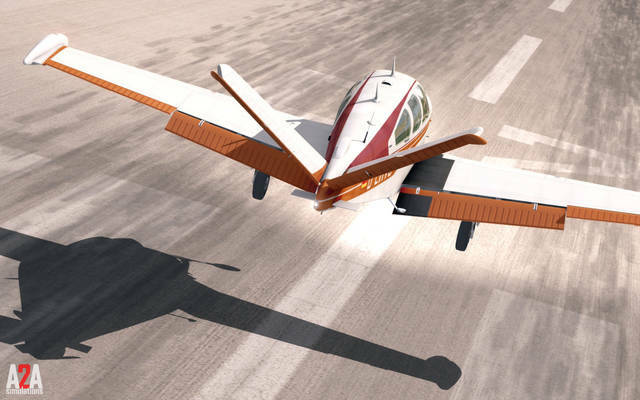 Therefore it’s this writer’s opinion that the new pilot should approach flying a V-tail Bonanza exactly the same as approaching an aircraft like a P-51 Mustang. The V-tail Bonanza, like the Warbird, is designed for experienced pilots who take the time to study and fly and operate such an aircraft with organisation, patience and preparedness. 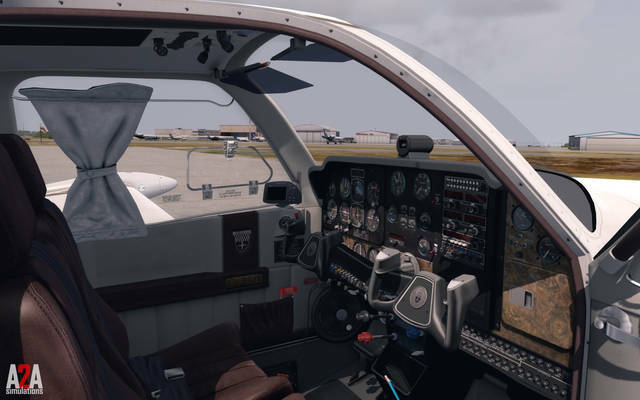 For those pilots who do approach the V-tail Bonanza with the respect it deserves, it will reward them with an experience unlike any other aircraft in the general aviation fleet today. It is for this reason the V-tail Bonanza still stands alone today, as it did on the first day it was introduced to the public. 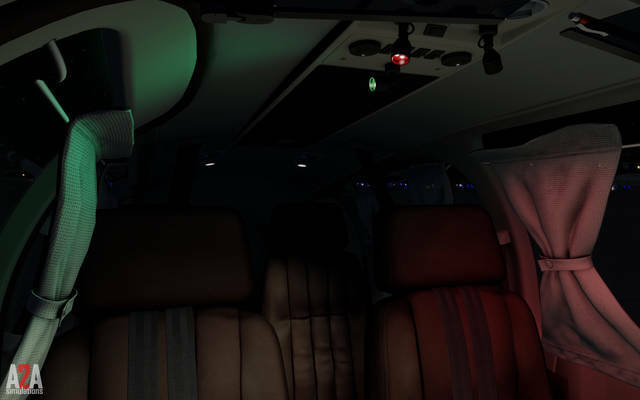 We hope our work on this aircraft meets and exceeds all of our customers' expectations, and also hope this aircraft delivers not weeks or months, but years of excitement, wonder, surprise and the most complete simulated aviation experience to date. Thank you to all of our customers for allowing us to pursue our dreams, and hopefully help pass our dreams onto you too. 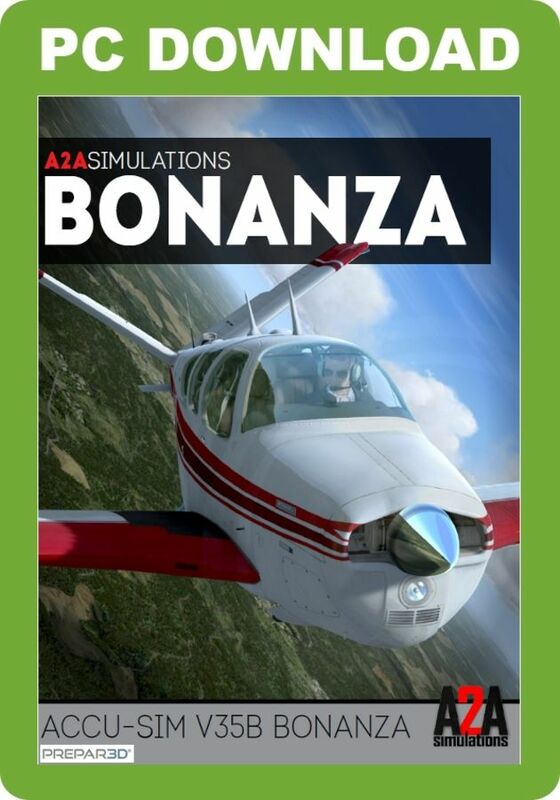 A2A's Accu-Sim Bonanza for P3D v4 Academic is designed to be flown 'by the book' and provides an exceptional level of authentic complexity and accuracy in the aircraft systems and functionality, from the true propeller simulation to the V-tail flight physics modelling. 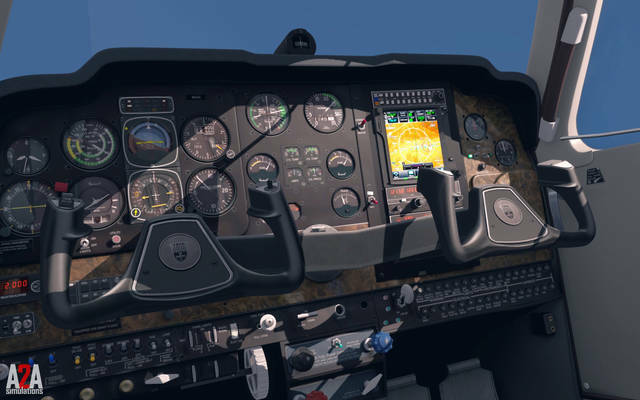 Among the numerous features are three in-sim avionics configurations, new analogue gauge physics, pre-flight inspection system, dynamic ground physics, physics-driven cockpit sound environment, system failures, maintenance hangar, real-time Load Manager and an authentic fuel delivery system.